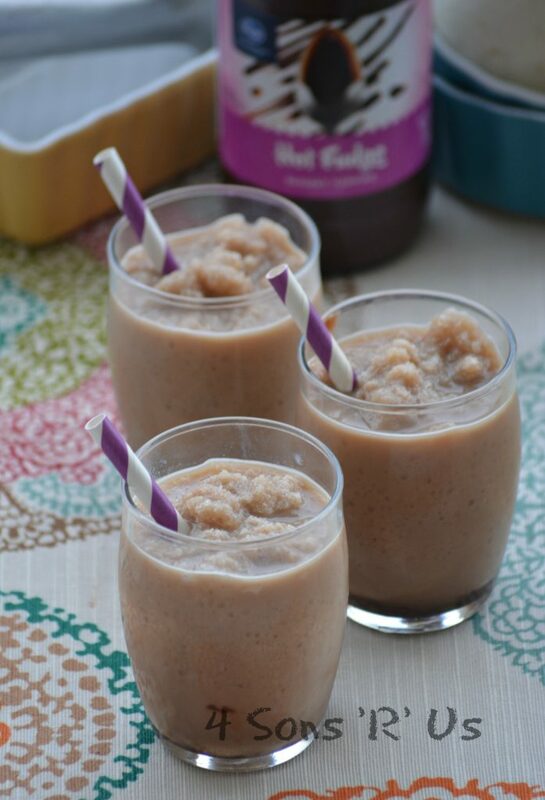 A rich and creamy, chocolaty coffee treat a Snow Cream Frappuccino will have parents’ looking forward to fresh snow falls and snow days, almost as much as the kids are. 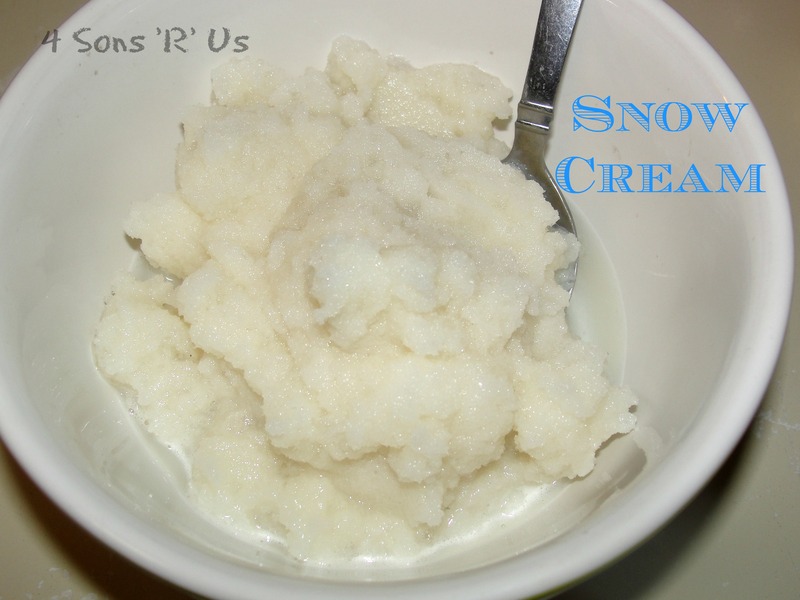 Have you heard of snow cream before? If you have then you’re well aware of it’s magical transformation from plain old pretty white stuff into a deliciously sweet treat. If you haven’t, you simply have to try it One of our absolute favorite Snow Day traditions is making snow cream. The kids love to watch as the snow magically turns into ‘ice’ cream right before their eyes. Sometimes, to preserve the magic, we will even store some extra snow in the freezer to pull out in the summer heat for a cool treat. It’s fast and fun, and the kids love it, even though the texture is different from traditional ice cream. Once you’ve made this for or with your kiddos, they will be asking for it as soon as the first flake falls whenever winter weather approaches. 1. In a large bowl combine half and half, vanilla extract and sugar. Stir until sugar is dissolved, about 3 minutes. 2. Stir in snow, a cup at a time, until the ice cream magically forms! Freeze for several minutes if desired before serving. We’re on Snow Day # 3 here, and I thought I’d share some of our other Snow Day activities that have been keeping us entertained. We made ice ‘marbles’. I thought these were pretty darn cool. Sons 1 & 2 just wanted to watch them explode into a million shards of colorful little ice daggers when dropped from the highest vantage point. We just filled some balloons with water, added in a few drops of food coloring, tied them off and left them outside to freeze. Son # 4 loves bubbles. 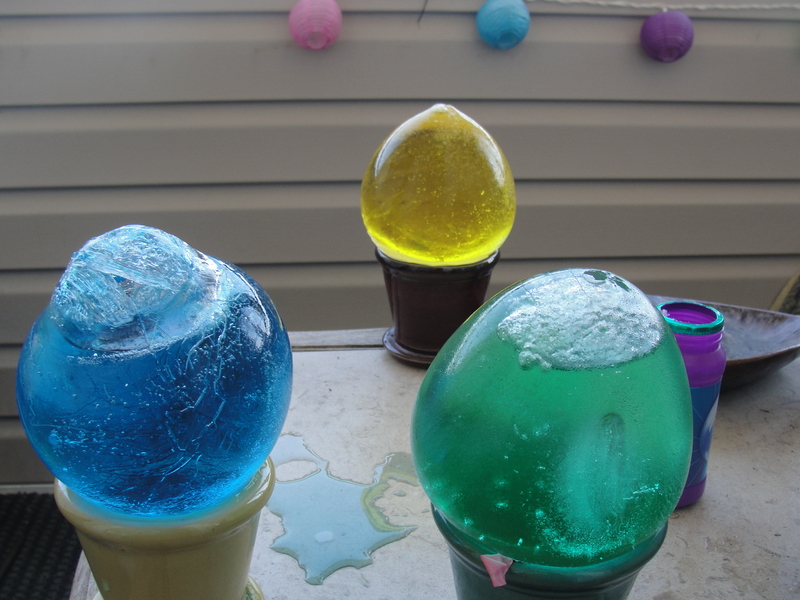 The older sons wondered what would happen to his blown bubbles in the freezing temps. They had a hypothesis. A little experiment proved their theory to be true. 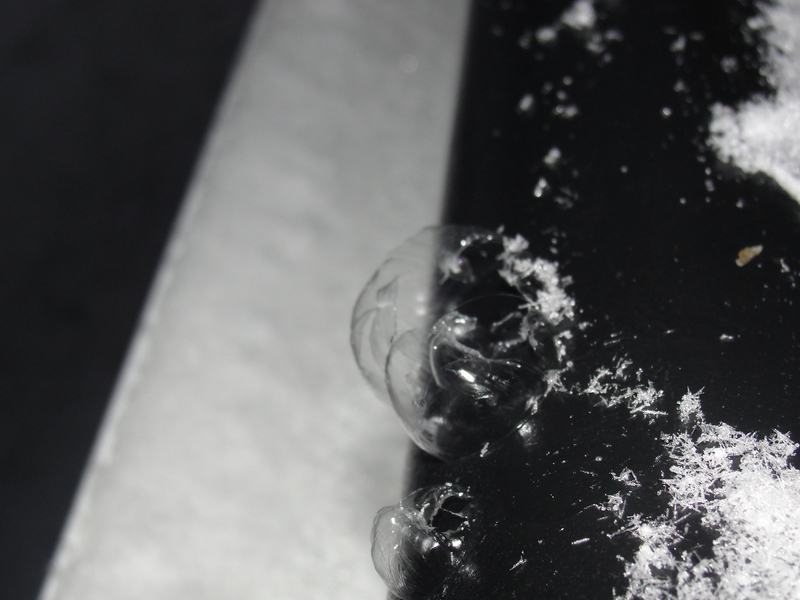 Blown bubbles do in fact freeze when it is freezing outside. And last, but not least, the sons opted out of a snowman this year. 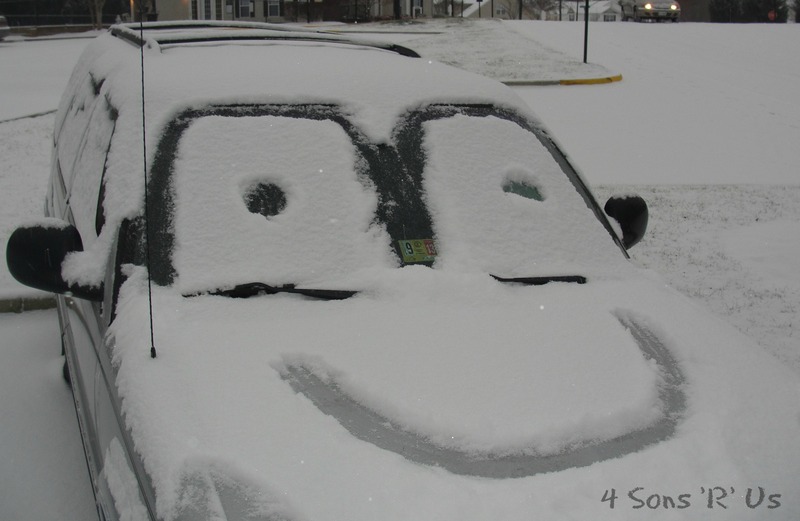 Instead, they made a snow car.